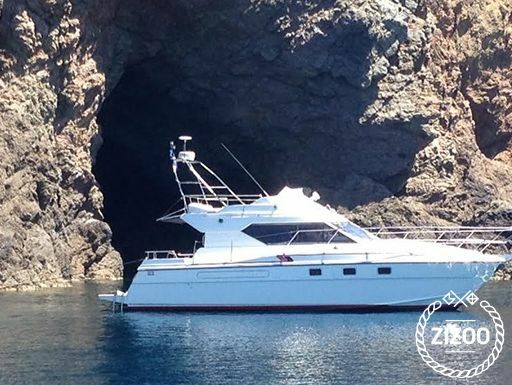 We suggest Colvic 36 SunCruiser “Diamand” for a private yachting experience. We invite you and your friends or family to enjoy the yacht’s comforts on a cruise to wherever you desire - all within an affordable price range. The SunCruiser “Diamand” is a speedboat based in Mykonos Island and is available for private rental. With a capacity of 10 people, you can charter the Yacht and cruise around the island of Mykonos. This is one of the Yachts that our guests love to charter as it provides everything you may need, not to mention that it is a great choice in terms of value for money. Charter this boat and try a little angling for local fish. You will be more than amazed.